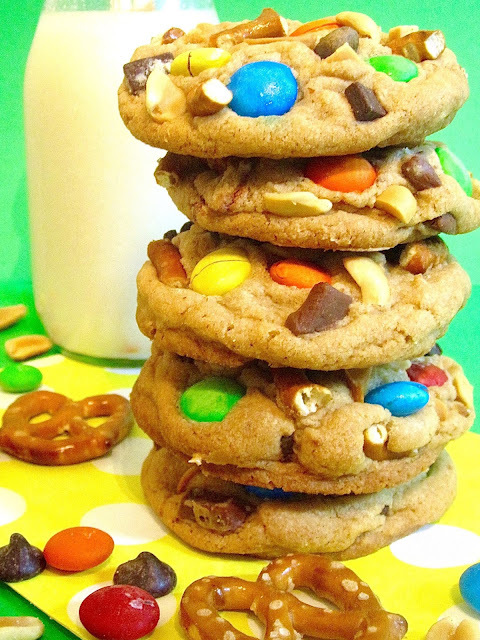 Thick buttery cookies loaded with salty peanuts, crunchy pretzels and chocolatey M&Ms, these cookies are the ultimate treat! Slowly add the flour mixture, on low speed, just until incorporated. 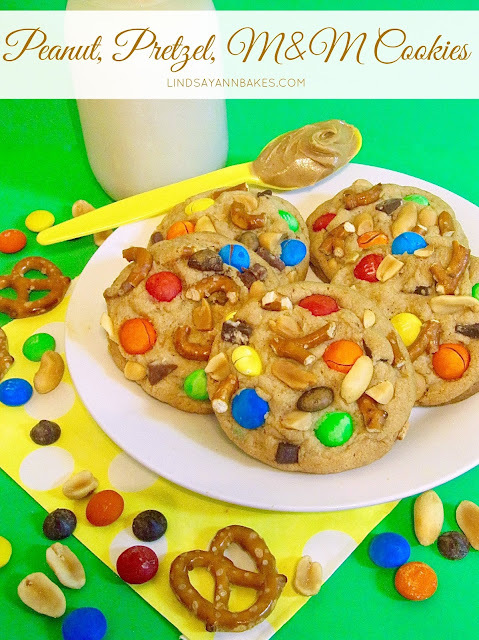 With a rubber spatula or wooden spoon, mix in M&Ms, chocolate chunks, peanuts and pretzel. Scoop dough into balls, 3 tablespoons each, cover, and refrigerate for at least 2 hours or up to 3 days. Dough balls may also be frozen for later use.